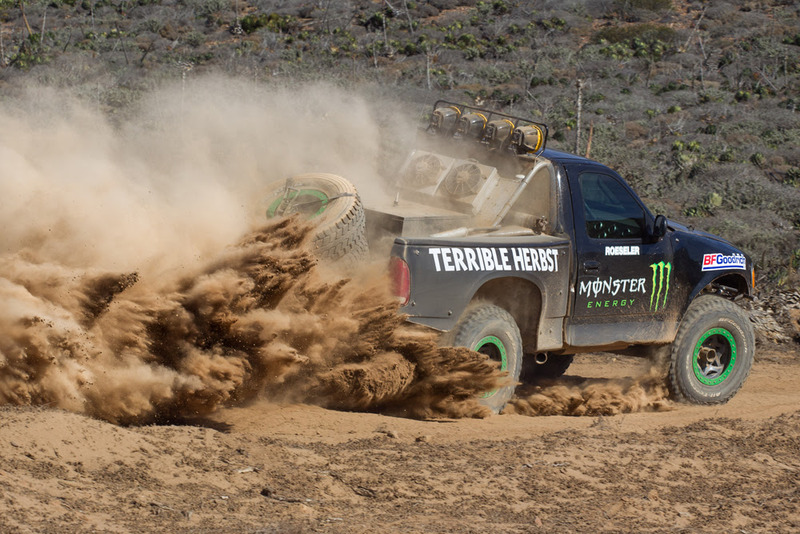 Off-road racing legend Larry Roeseler has had a long and distinguished career in off-road racing highlighted by his multiple Baja 1000 overall wins and he’s far from retiring. Known for his smooth and consistent driving style, Larry’s an icon in the sport of off-road racing. Revered by racers and fans alike Larry started racing motorcycles winning multiple races and championships. He then moved into four wheel off-road compiling an impressive resume including 13 Baja 1000 overall wins, and 12 Baja 500 overall wins. A pioneer of the sport, Larry is most known for his longevity as well as piloting the famed Terrible Herbst “Land Shark” Truggy. Come meet Larry as he pre-runs the Baja 1000 and listen to what made him fall in love with off-road racing. From career highlights to the special moments that defined his career in off-road racing, he did it all on BFGoodrich Tires.